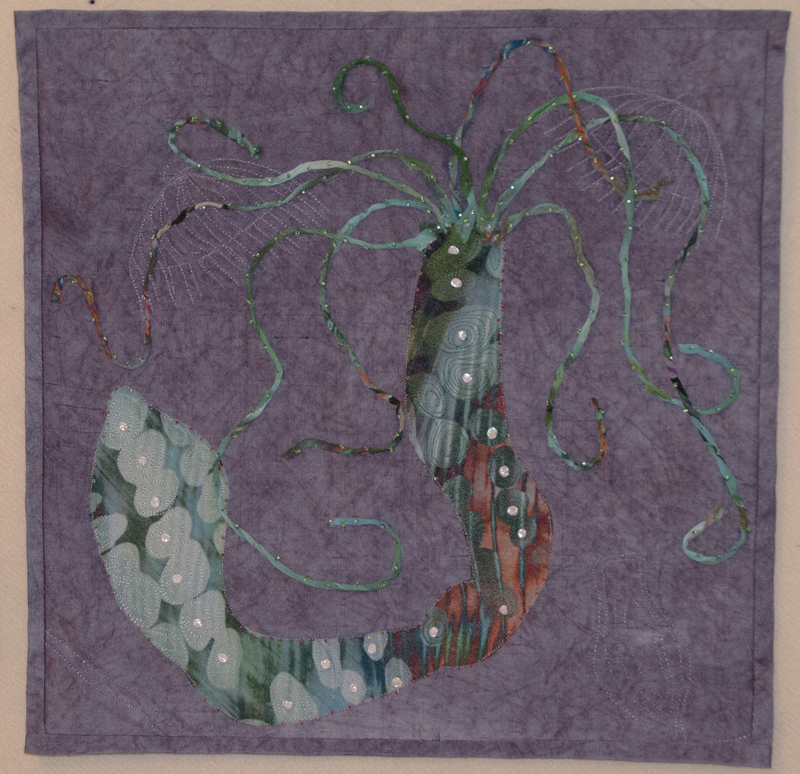 I have always been fascinated by marine life, so this challenge was an opportunity to feature one of the small members from the phylum Cnidaria. 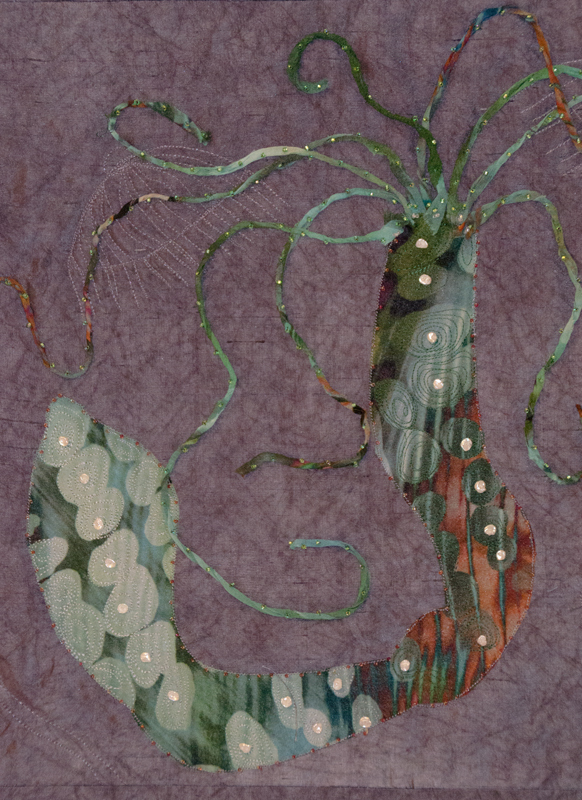 My background is hand dyed silk and the body and tentacles are a patterned synthetic polyester. Small pearl pieces and seed beads were used as embellishments. Obelia is a group of colonial hydrozoans that inhabit marine intertidal and subtidal habitats up to 200 meters in depth. They have worldwide distribution, with some species even occupying freshwater habitats. The life cycle of Obelia species includes two stages, a polyp stage and a medusa stage. During the polyp stage, the Obelia takes on a stalk-like structure. It has tentacles and is attached to a solid surface on the sea floor. The polyp reproduces asexually, releasing free-swimming, ciliated medusa. The medusa eventually settle and attach themselves to a hard surface where they metamorphose into a colony of polyps. I am wondering what would happen if you next worked a piece paralleling this “medusa” with the one (capital “M”) in mythology…. Beautiful Kaylene, we can imagine the transparency is this Obelia ! I would like to see the real piece !